“KABAYAN!” Fellow Filipinos would exclaim in surprise after they finally figure out which country we came from. This is how we were greeted with by overseas Filipinos workers we met in Dubai. These unsung heroes, over half a million strong, are among the largest nationalities in this global city. 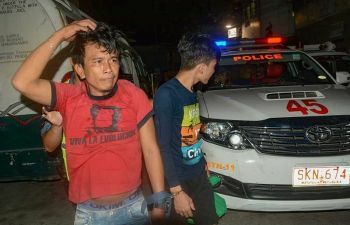 Everywhere we went during our Christmas vacation, we would encounter hardworking and friendly ‘kababayan’ in restaurants, shops, hotels, and amusement parks. Even the paging system at one of the malls amusingly sounded like we were at a department store in the Philippines as the lady announcer was speaking in English with a distinct Filipino accent! 1. The Dubai Miracle Garden, open from mid-November to mid-May, is a sight to behold with 72,000 square meters of beautifully landscaped gardens featuring 150 million flowers in bloom. Every year, the keepers meticulously change its designs and concepts so that visitors could look forward to something new. 2. For those seeking to experience ancient Dubai, head on to the Dubai Museum which is housed in the Al Fahidi Fort, the oldest existing building in the city. The museum highlights Dubai’s rich history and heritage prior to the discovery of oil. Exhibits and dioramas give tourists a peek of the Emiratis’ everyday life and livelihood. 3. For the big-time spender or just plain curious, the Gold Souk is a definite place to be. Marvel at the endless display of shining, shimmering and splendid gold and silver jewelry as well as precious metals and stones. Don’t forget to take a snap with the Star of Taiba, the world’s largest gold ring as certified by the Guinness World Records. It weighs an incredible 64 kg and is lavishly studded with 5.17 kg of Swarovski stones. Just nearby is the Spice Souk where you can buy traditional spices, herbs, oils, teas and nuts. 4. 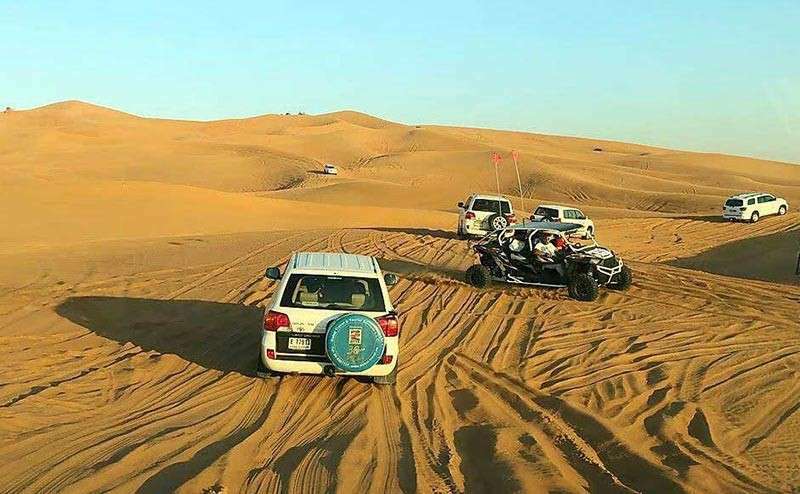 A sojourn to Dubai will never be complete without the action-packed desert safari where 4x4 Land Cruisers take you to an adrenaline-pumping ride across 30-feet high red dunes. Cap the magical experience with a sunset camel ride followed by an Arabic dinner at a desert camp. A Tanoura and belly dancing show, henna tattoo and sheesha experience are usually included in the dinner package, too. 5. Ski Dubai is consistently rated as among the world’s best indoor ski resorts. 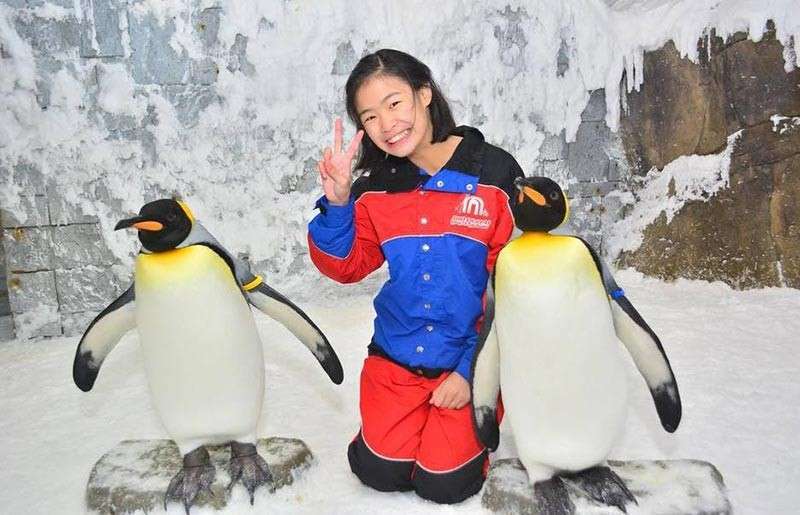 Located at the Mall of Emirates, the 4,500 square-meter snow park offers a plethora of ‘cool’ activities such as skiing, sledging, toboganning, chair lift riding, zipline, and even up close personal encounters with penguins! 6. Enjoy “country-hopping” at the Global Village, literally, a world-class destination for the whole family. Each nation is represented in this massive theme park-like place with designated pavilions highlighting its unique culture, cuisine, entertainment and crafts. Shopping and dining here are on a level beyond just entertaining but most importantly, educational as well. 7. 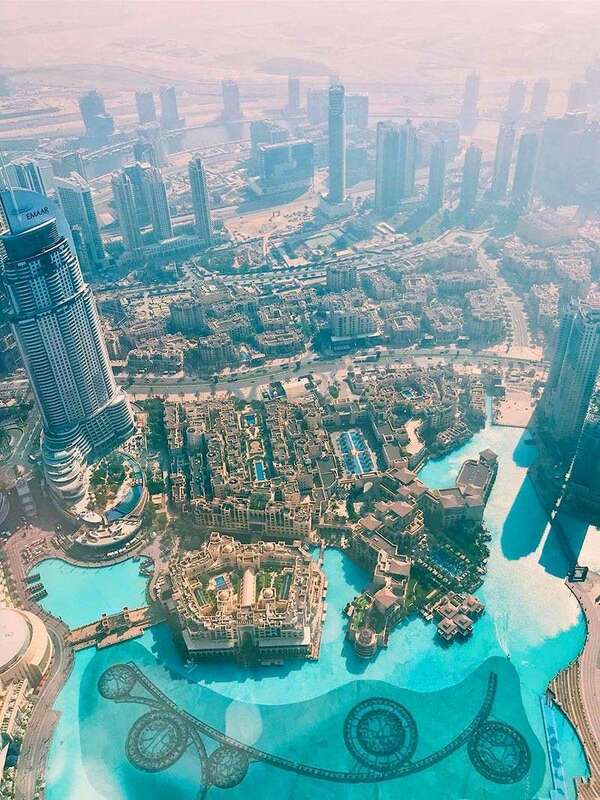 View the breathtaking Dubai skyline from the 828 meter-Burj Khalifa, the world’s tallest building which stamped the city’s transition from an oil-based economy to service and tourism. Situated at the base of this renowned skyscraper are the colossal Dubai Mall and Dubai Fountain, both equally grand and impressive. 8. At the Burj Al Arab, have high tea or dinner at this luxurious five-star hotel which has become one of Dubai’s most recognized icons because of its one-of-a-kind ship sail design. Towards sunset, walk along the shores of Jumeirah Beach before treating yourself to a tasty meal at the hip Jumeirah Beach Residence (JBR). 9. The IMG Worlds of Adventure is the largest temperature-controlled indoor themed entertainment destination in the world with five epic zones which include Cartoon Network, Marvel and the Lost Valley. Even at peak seasons such as December, lining up is hassle-free due to the comfortable air conditioning. 10. Should you have more time in your hands, a quick escape to Abu Dhabi, the capital city of the United Arab Emirates, is worth the trip! Feast your eyes on Louvre Abu Dhabi’s exquisite art pieces either acquired or on loan from Louvre Paris. Next, schedule a visit to the Sheikh Zayed Grand Mosque, the largest mosque in the country. Cap your Abu Dhabi adventure with a pit stop at Ferrari World and get the thrill of your lives riding the Formula Rossa, the world’s fastest roller coaster with a lightning speed of 0 to 240km/h in 4.9 seconds.